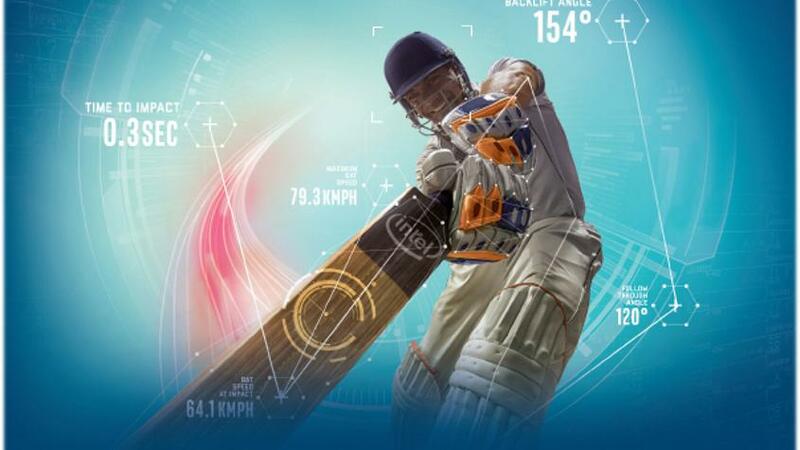 In conjunction with its innovation partner Intel, the ICC will unveil three game-changing technological advancements for the 2017 ICC Champions Trophy. 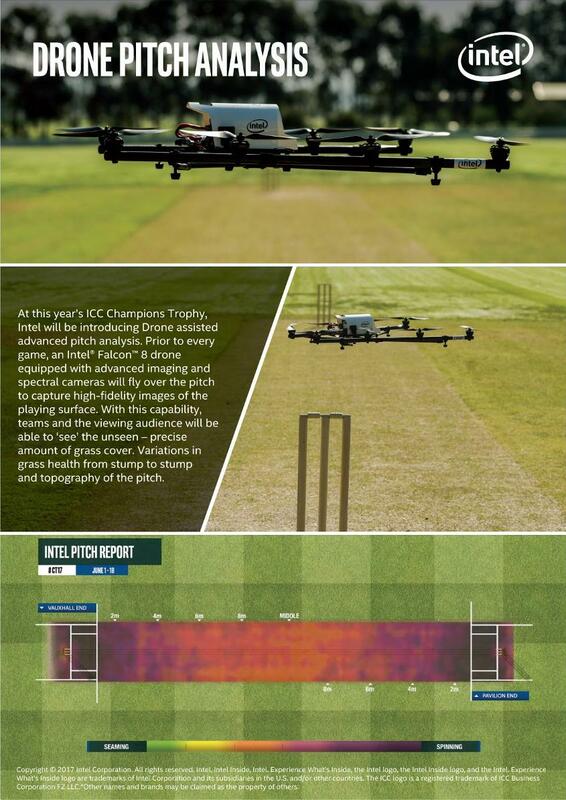 At every game of the ICC Champions Trophy there will be an Intel® Falcon™ 8 Drone, equipped with HD and infrared cameras, to provide high-tech pitch reports. Each pitch report will consist of three components: the coverage of the grass across the pitch; any variations in the health of the grass; and its topography. This can then be analysed to establish which areas may offer spin or seam, and where there could be uneven bounce. A pitch map will then be generated to display all of this information. The fact that every venue and every pitch will be examined – and direct comparisons offered with other pitches at different venues – presents an opportunity to create a new level of storytelling across the tournament. “If the technology is available to enhance and amplify the cricket experience, we have shown over the years a real willingness to trial and support it,” says Dave Richardson, ICC Chief Executive. Drone pitch analysis introduced in Champions Trophy 2017. Perhaps the most eye-catching new innovation is the bat sensor that will be used by a selection of players throughout the tournament. Attaching to the top of the bat handle, the sensor will record and transmit data to the broadcaster, which can then be used to examine a whole host of aspects pertaining to the batsman’s technique. The number of ways this data can be used is mind-boggling. We can see just how fast MS Dhoni’s bat goes when he nails a helicopter shot, or exactly what the angle of Hashim Amla’s bat is on a delicate late cut. Perhaps most exciting of all is the fact that a product that will produce identical data will be available to purchase at a price affordable to club cricketers. BatSense, developed by tech company Specular, will retail at $150. Everything you’ve ever wondered about your technique – whether your high back-lift is hindering or helping you, whether you follow-through differently against different types of bowlers, and whether you slow down just before impact – can now, as Hussain says, “be quantified”. Bat Sensor techonogy has been introduced at Champions Trophy 2017. The product will be available in Australia, India, the UK, and the USA later in the year. Hussain is aware that the technology could take a while to bed in, but that once it does, its ability to enhance storytelling is almost unlimited. “It will take time because you need context,” he says.